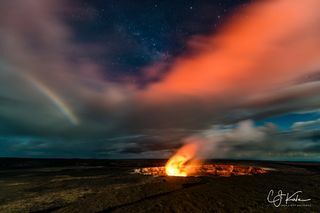 The Big Island of Hawaii is one of the most remote destinations on earth...some 2700 miles from any continent. 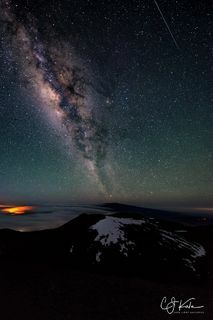 We also enjoy several tall mountains, two that reach an altitude of nearly 14,000 feet. 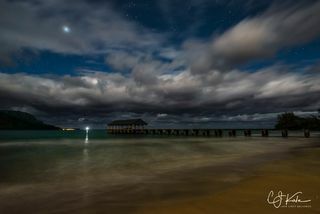 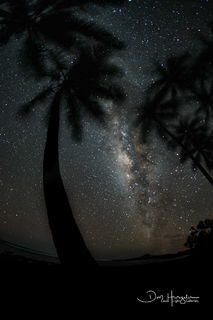 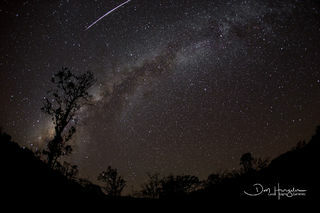 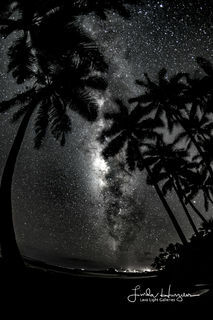 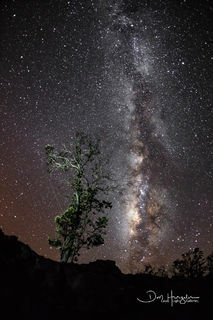 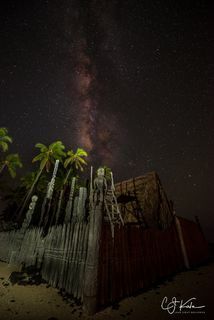 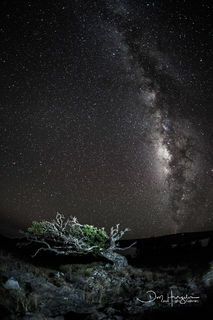 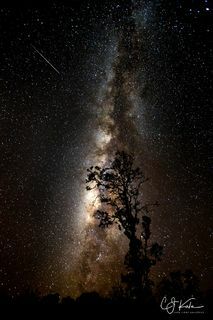 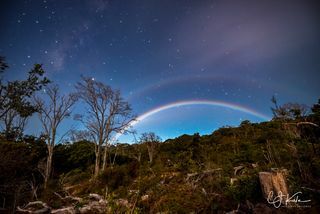 Our skies can be jet black dark and the Milky Way, especially in the summer months, stands out like clouds in the sky. 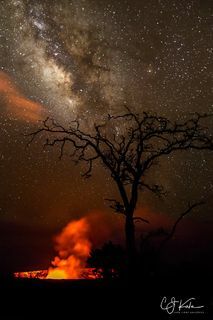 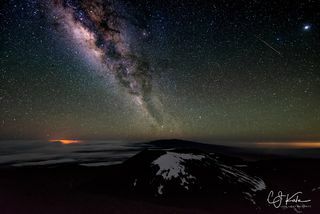 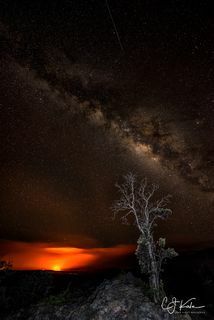 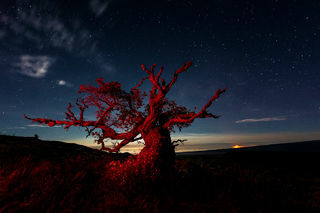 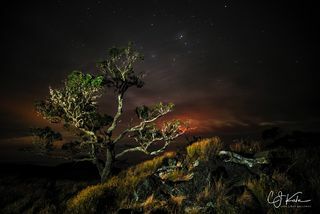 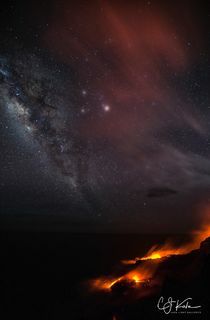 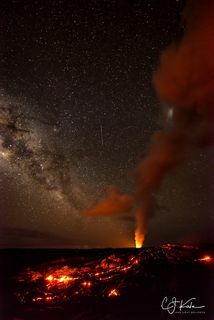 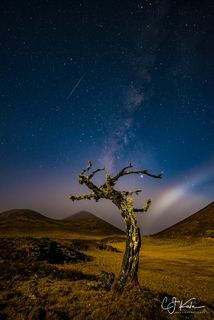 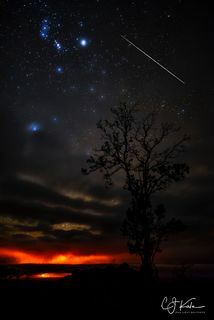 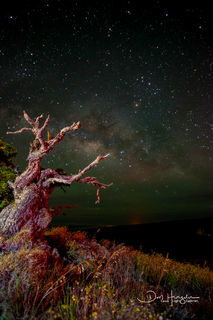 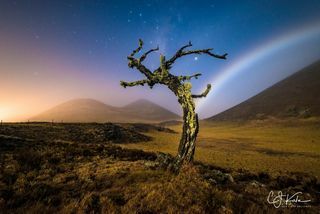 Our night photos often include the volcano or lava in the foreground and meteors streaking across the sky.